The UK has so much to offer the saltwater fly angler. 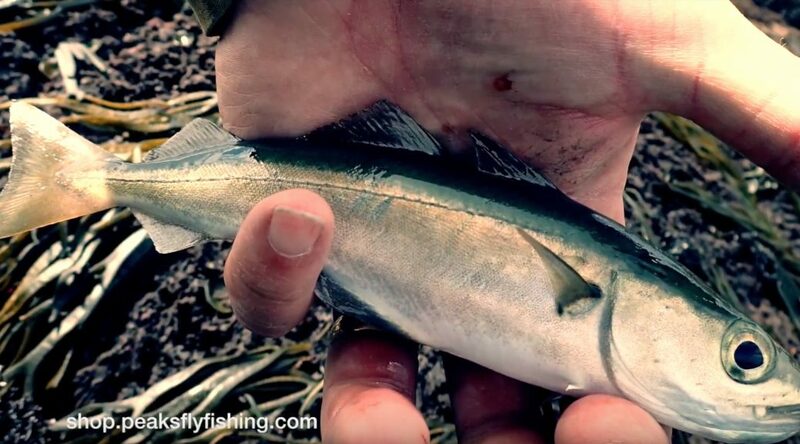 Bass, Pollock, Coalfish, Flounder, Mackeral are all regularly caught whilst saltwater fly fishing in the UK. For an article on how to get started in saltwater fly fishing in the UK please click here. Many saltwater fly selections are geared towards the tropics, overlooking the fantastic sport right on our doorstep. Whilst we do sell these flies we also sell flies tailored suitable specially for UK saltwater fly fishing. Here are 5 of my essential patterns for UK saltwater fly fishing that I’m never without when I’m at the coast. For our compete range of saltwater flies, please click here. All sea fish love ragworms! This ragworm fly has a strong braid loop instead of hook eye. When attached to your leader using a loop to loop, this gives a realistic wiggle action. This fly will take many different species of sea fish but it’s especially useful for twitching back over sandy gulleys for flat fish which will ambush it as it wiggles overhead, it’s tied on a size 6 hook meaning that small flatties will still take confidently. Just a superb all round fly for Bass, Pollock, Mackerel, Coalfish and more. This is just perfect for stripping back over rocky ground for waiting saltwater predators. All sea fish love eating Sandeels and it’s certainly an essential fly for your fly box. During the summer Bass & Mackeral come close inshore hunting the huge shoals of Sandeel on the UK coast so be sure to be armed with some of these in your box! This is a brilliant little saltwater pattern. It’s tied on a small size 6 hooks and is great for bumping along the sandy gullies for small flatties or twitching close in around the kelp and rocks for juvenile Coalfish and Pollock. You can cast it on lighter gear which offers some great sport on these smaller predators. This is the fly that won me the field cup last year. Superb for slightly coloured water for Bass but it will also take all other major saltwater predators. The clouser eyes are tied in such a way so it fishes with the hook point upwards, minimising snags over the rocky gullies that Bass love so much. You turn up at your mark expecting to be fishing for Bass but see some Mullet cruising through the slack water close in! Be sure to have some Mullet flies as you never know when they will turn up. Harbours are a great place to find them, cast your fly and almost let it just sink past them, if you have to retrieve then make it painfully slow. They are very shy biter but fantastic fighters when hooked.